Leave Belfast behind you and head east to the inland seascape of Strangford Lough. Ancient history, roaring waters, crumbling castles and awe-inspiring art: take a deep breath and take it all in as you wind your first day around the shores of Strangford Lough. On the eastern fringes of Newtownards, Movilla Abbey slumbers in much-deserved peace. 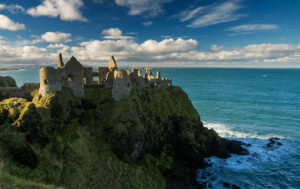 Its crumbling walls belie the resilience of this mighty monastery: founded in 543 AD and plundered by the Vikings in the 9th century, it was re-founded as an Augustinian abbey three centuries later – before being burned down and rebuilt again. Phew! 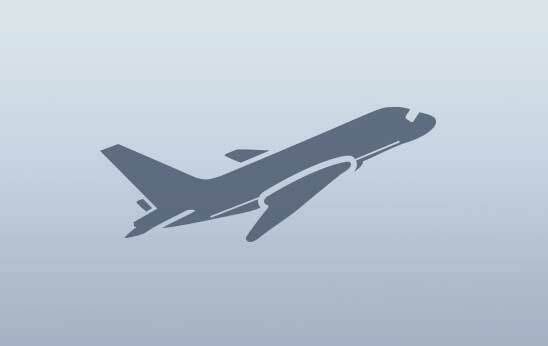 Ramble through the ruins in person, or pay a trip to Newtownards Airfield for a bird’s-eye view. At the heart of the town, Newtownards Visitor Information Center shows off its local artists and craftspeople with a wealth of unique works on display. 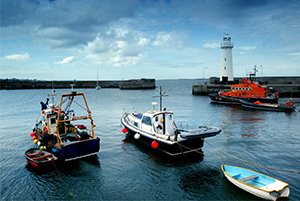 What better way to break up the day than by feeling the salty spray of the sea on your face as you amble down Donaghadee Pier? The cut-limestone lighthouse that greets you at the end dates to 1836 – but the Motte that looms above the town is even older and boasts spectacular views across the sea to the serene Copeland Islands. Stop by Grace Neill’s, one of the oldest (and most haunted!) 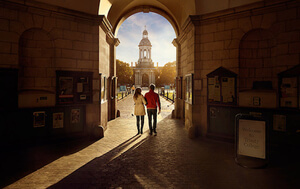 pubs in Ireland, and enjoy a cold pint at the same bar once visited by Daniel Defoe and Peter the Great of Russia. Call into the Ballycopeland Windmill for a glimpse of tradition in action: East Down’s only working windmill is four storeys tall and over two centuries old! 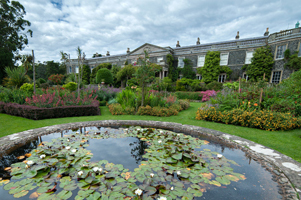 On Strangford Lough’s eastern shore, majestic Mount Stewart and its blooming, whimsical gardens welcome each visitor joyously. Built in the 18th century, this neoclassical mansion is a treasure trove of art, sculpture and curios collected by the wanderlust Stewart family over centuries of travel; while the gardens are a delicate and perfect balance of careful design and natural beauty, rich with Italianate features. See if you can catch a flavor of Florence as you stroll through the Dodo Terrace… Why not shop around the specialist antique stores in nearby Greyabbey village and begin an international collection of your own? Savor a plate of Portavogie prawns – or any number of mouth-watering local specialities – at TripAdvisor favorite, the multi-award-winning Katch 27. The tower house, the Victorian laundry, those endless parkland trails: with over 800 acres of landscaped gardens that kiss the shore of Strangford Lough, Castle Ward is an estate of timeless intrigue. 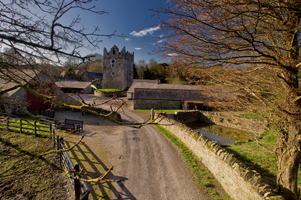 Fans of Game of Thrones® will feel right at home here, where the unique fusion of classical and Gothic architecture made this walled demesne the obvious setting for Winterfell. Take the ferry across the Narrows, the strip of fast-flowing water where Strangford Lough rushes to meet the ocean at Portaferry. A day of monastic marvels and captivating landscapes lies ahead – don't forget your camera! Tread softly in Downpatrick, for you’re walking on hallowed ground. 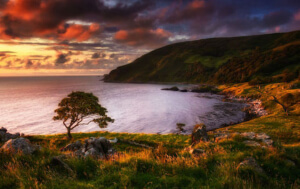 Just decades after St Patrick first sailed through Strangford Lough in the 5th century, he was buried on the grounds of Down Cathedral, leaving behind his indelible legacy as The Apostle of Ireland. 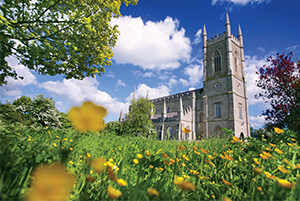 With its elaborate stained glass, antique organ, and ornate spires pointing proudly into the sky, this magnificent cathedral is an irreplaceable silhouette on the County Down canvas – as is Down County Museum, just 328 ft away. Check into this converted gaol and peer back through 9,000 years of human history. Down the road stands Saul Church: a simple, stone church on the site of the barn where St Patrick first worshipped in Ireland, back in 432 AD. Churches, monasteries, chapels: they dot Ireland’s countryside, filled with stories of devotion, conversion and scholarship. But Inch Abbey has a more unusual pedigree. 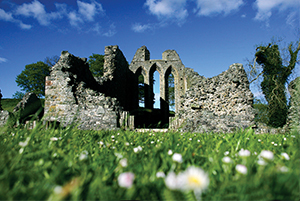 After another abbey on the same site was razed to the ground by a bloodthirsty knight, Inch Abbey was built as a sort of apology – but judging from the ghosts who still roam the ruins, we’re not sure the knight was ever forgiven… Make your trip extra special by taking a traditional steam train here from Downpatrick. 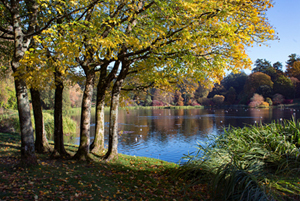 Shake out those limbs in Ireland’s only fresh-air gym, free to all at Delamont Country Park, and stroll out to Strangford Stone, the island’s tallest megalith. Dating to 1180 and believed to be one of the oldest inhabited castles in the country, Killyleagh is the quintessential Disney pile: dungeons, spiral staircases, handsome turrets and secret passages. Although the castle itself is private and one gatehouse was spectacularly blown up in 1649, visitors today can opt to stay in the lodges, live like royalty – and snap some positively enchanting photos. Did you know we have County Down to thank for the invention of milk chocolate? 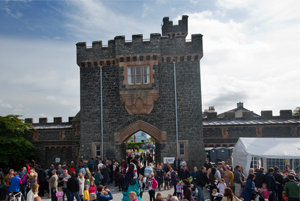 Sync your visit with the Hans Sloane Chocolate and Fine Food Festival and pay tribute to Killyleagh's own Willy Wonka! Secreted away on Mahee Island, a narrow arm sticking out into the center of Strangford Lough, is Nendrum. 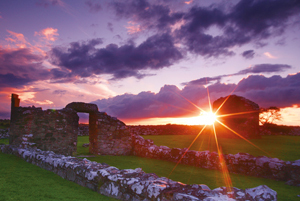 Established by St Machaoi as far back as the 5th century, this is Northern Ireland’s best example of a pre-Norman monastic site. Today, the three dry-stone walled cashels, beehive cells and round tower hark back to a time of saints and scholars, when Viking attacks threatened and miracles were more than myth. Call into the Visitor Center: it’s small, but highlights all you need to know. 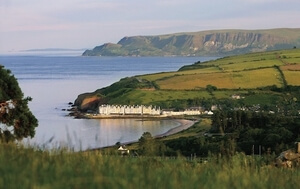 Pause for a bite to eat at Daft Eddy’s and drink in the sweeping views of the Lough as you enjoy a hearty meal. 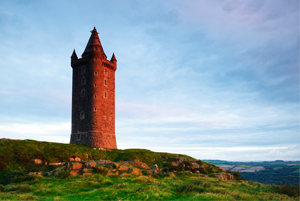 Towering 554 ft above sea level, Scrabo Tower is a monument to charity, built to thank the 3rd Marquess of Londonderry for his efforts to alleviate the suffering of the locals during the Great Famine. Though truly a sight to behold, the tower can’t hold a candle to the view that Scrabo Hill offers across the County Down landscape: Strangford Lough, its legion of islands and the lofty Mourne Mountains unfold before you, with the Isle of Man and the coast of Scotland peering back from a distance. Call in to Lightning Tree and drape a piece of pure local art around your shoulders: Winnie Magee’s chic raincoats promise “Irish linen for lovely Irish weather”.